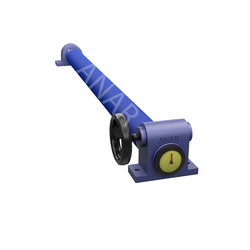 Providing you the best range of banana roller, banana roller for paper industry, camber roller, teflon sleeve coated bow roller, teflon sleeve expander roller and teflon coated rubber expander with effective & timely delivery. Offering our best quality Banana Roller which are consist of bowed shafts, sealed ball bearings, abrasion resistant sleeve and metal segments. We are the reputed manufacturers of Rubber Expander & Metal Expander Rollers. We are capable to manufacture the Rubber Expander as well as Metal Expander Rollers in different ranges and prices according to the requirement of our customers. The main and very useful benefit of this type of roller is; they are used as a wrinkle remover device in a large number of industries. The performance rate of this product is extraordinary. These Expander Rollers are available at much effective cost so they are in demand at the market place. These devices are generally known as the wrinkle remover devices. 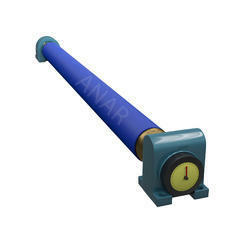 ANAR RUB TECH PVT LTD is the foremost manufacturer and supplier of Rubber Banana Roller in India. This is the most commonly used wrinkle remover device. Usage/Application Textile Industries,Paper Industries,Plastic Industries etc. We are manufacturing of wide range of Camber Roller also know as Banana Roller, Rubber Expander Roller and Metal Expander Rollers to our customers as per their demand. Types: Individual Segment Rotating Type Single Piece Rotating. Length Up to 6 Mtr. Our optimum quality Teflon Bow Roller,Banana Roller, Wrinkle Remover Exapander with a huge demand due its vast industrial uses. We have become a leading manufacturer and supplier of Teflon Bow Roller since our establishment. They are produced under guidance of our experienced team of engineers. Latest equipment make sure fits & Quickly identify defects in material. 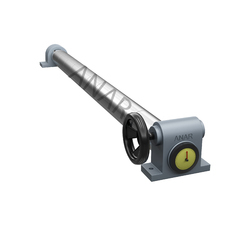 Offering Teflon Sleeve Expander Roller. Manufactured using superior quality raw material, these rolls are known for their corrosion resistance, high lubricity and low friction. Our optimum quality Teflon Coated Expander Roller,Banana Roller, Wrinkle Remover Expander with a huge demand due its vast industrial uses. We have become a leading manufacturer and supplier of Teflon Bow Roller since our establishment. They are produced under guidance of our experienced team of engineers. Latest equipment make sure fits & Quickly identify defects in material.